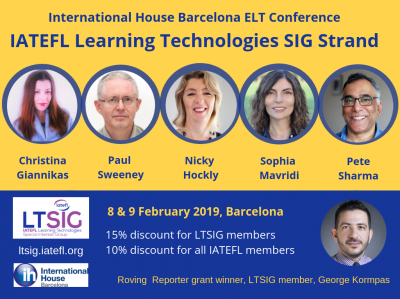 As part of our countdown to the International House Conference in Barcelona, which takes place on 8/9 February, this is the first of five posts which focus on the speakers on the LTSIG strand. 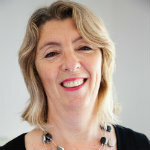 The IATEFL Business English SIG and IATEFL Leadership and Management SIG will also be there. First up is Nicky Hockly. The official programme for this event, showing all the speakers, is shown below. This can also be found on the official IH Barcelona site. As of 16 January, there are less than 20% of tickets remaining. You can enrol here and there are 10% discounts for IATEFL members and 15% discount for LTSIG members. To get this discount please use the discount code sent out to members in an email on 11 January.